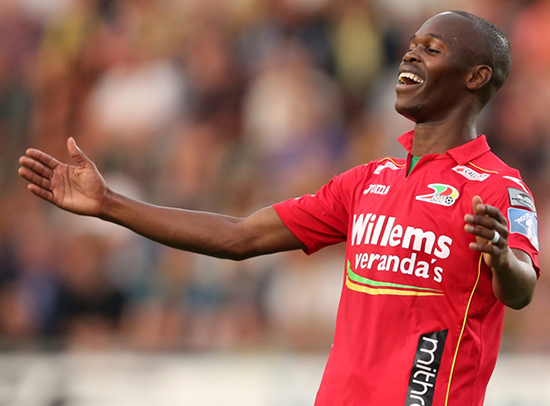 Zimbabwean international Knowledge Musona scored for Belgium side KV Oostende in the Belgian Cup. Oostende beat Antwerp 2-0 to advance to the next round of the competition. Franck Berrier gave Oostende the lead in the 18th minute. Musona then made victory sure in the second half scoring in the 63rd minute. It was Musona’s fourth goal of the season in all competitions. Musona is among the top scorers in the Belgian league with three goals after seven matches. KV Oostende is in 3rd spot with 13 points three behind log leaders Zulte-Waregem.